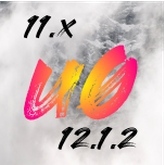 11-11.12.1.2 unc0ver The Most Advanced Jailbreak. Turn on airplane mode, disable Siri and passcode on your device and if iOS 12 disable "Low Power Mode". Updated at: April 21, 2019, 2:11 p.m.